From intimate get-togethers to a full-blown bash, parties are the number one source of fun. It gives us a chance to socialize and celebrate with people we know and love. It’s a great avenue for meeting new faces as well. Believe it or not, hosting a party is actually as fun as being invited to one. Being a host isn’t as stressful as one might think. Sure, it will keep you on your toes at first but once you’ve got the mood going you can enjoy it as well. So what will you need to host an awesome party that your guests will love? Continue reading through this article to find out! A party with nothing to munch on or drink is no party at all. Good food speaks to many and can get your guests talking. A snack table with an extensive array of munchies is ideal for big parties. That way, people can enjoy bringing their snacks along with them as they go around and socialize. Barbecues are always a good idea, always. For more intimate gatherings, you can never go wrong with a quiet dinner. An open bar will provide unlimited drinks to your guest so you won’t leave them parched. 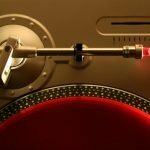 You can rely on good music to really set the mood and feel of your party. You don’t want your guests sitting in awkward silence. When you want to go all out, some upbeat EDM or even 80’s New Wave will get everyone stomping on their feet. Smooth jazz music is great for a relaxing vibe. For a modern take, chill hits from current pop artists are a good way to go. Music is great in the background for gatherings that get people talking or blasted out for a crazy good time. What’s a party without a venue? The best thing about hosting house parties is that you don’t need to go far or shell out for a place. Of course, the key is to keep the house spotless and prepared for guests. Store away fragile items and make sure to prep furniture for potential stains. Keep the areas in your home spacious enough for guests. Floors have to be easy to clean after a night of constant foot traffic, spills and food falling off it. 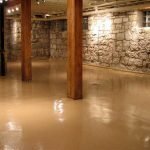 When it comes to hosting house parties, epoxy floors are your best friend. This high shine flooring is sure to leave your guests in awe. It makes cleaning the aftermath as easy as pie because of it’s stain, spill, and dirt resistant surface. Simply wipe off the mess and it’s good as new. To know more about epoxy flooring in Tampa, visit our homepage.